Time to make like a carnival barker because the deals in the T! Store have never been hotter! Just wanted to bring a few additions to your attention today...let's make a deal! 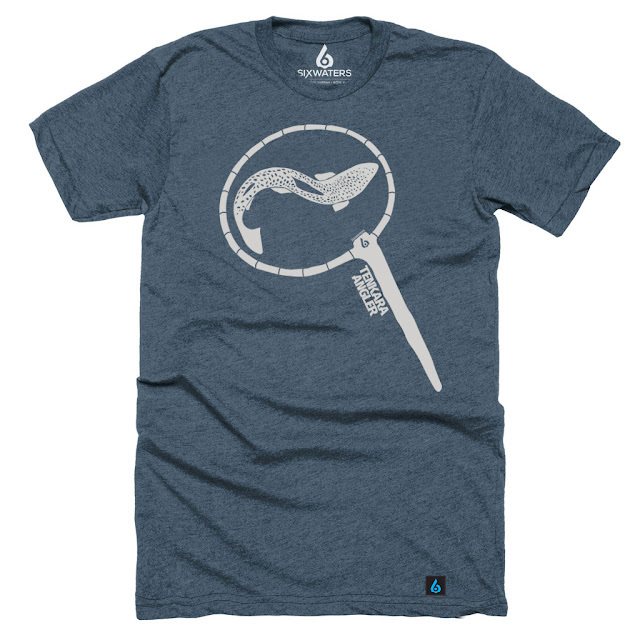 First off, Tenkara Angler swag was added to the store over the weekend in the form of tees and stickers. I had several people ask about Tenkara Angler t-shirts & hats at the Tenkara Jam, so we decided to move forward with a new, limited run "Tamo T-Shirt" in collaboration with the guys at Six Waters Co. They did a great job on the design, don't you think? 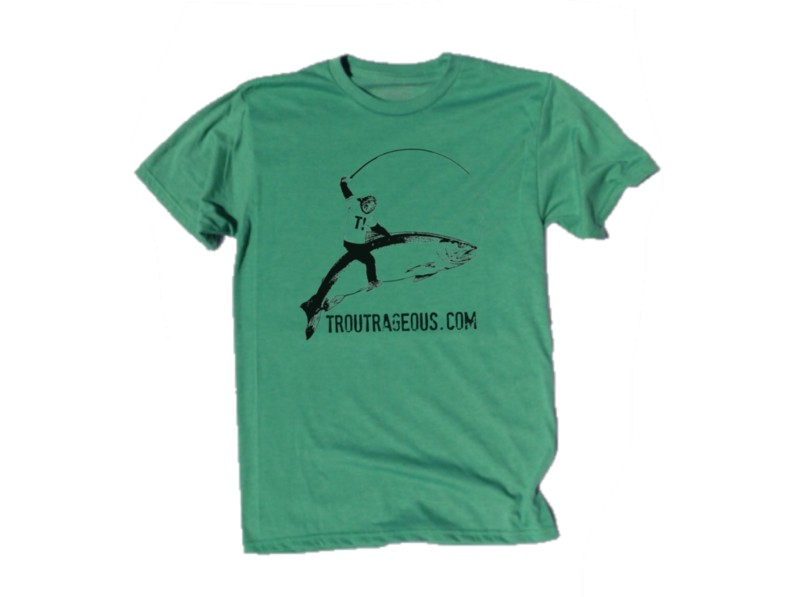 The super-soft tee comes in every color of the rainbow, given your rainbow is monochromatic heather blue. The first print run was limited, but at the time of posting, all sizes were still available, and I'll toss in some free TA stickers as well. The tees fit relatively true to size, my XL fits fine (I'm 6', about 210). The ever popular Troutrageous! Tenkara Sasquatch tees are now on clearance. I have a few random quantities leftover in sizes Large and XXL only. Originally $20, if you're Cinderella and shoe fits, you can have a tee for the steal of a price at $10. I mean they're "CARF Approved" so that's gotta mean something, right? Finally, I've been going through my gear, and just found a bunch of stuff that's in great condition, but I just don't use much anymore. 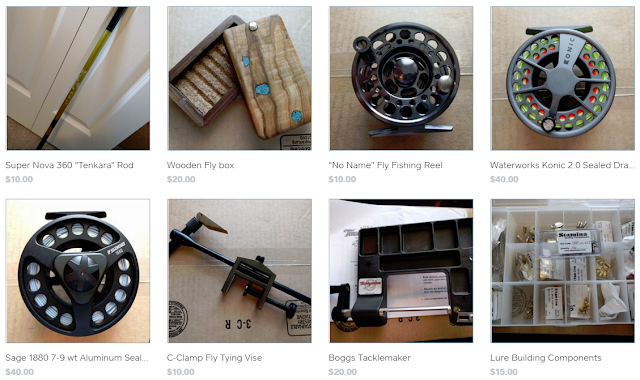 Rather than go immediately to eBay, I've posted those items at the bottom of the T! store under the section, "Garage Sale" Maybe there's something that interests you, maybe not. Either way, some good deals to be had on gently used fishing gear. So that's that on this final Monday morning of January. Hope you're all ready for an awesome week. Thanks, Michael, for sharing your "Goodie" news............. I am off to the T - Store!